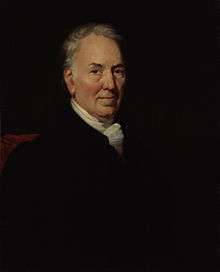 Thomas Bewick (c. 11 August 1753 – 8 November 1828) was an English engraver and natural history author. Early in his career he took on all kinds of work such as engraving cutlery, making the wood blocks for advertisements, and illustrating children's books. Gradually he turned to illustrating, writing and publishing his own books, gaining an adult audience for the fine illustrations in A History of Quadrupeds. 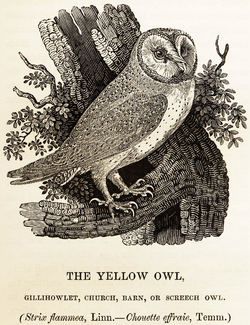 Bewick is best known for his A History of British Birds, which is admired today mainly for its wood engravings, especially the small, sharply observed, and often humorous vignettes known as tail-pieces; the book was the forerunner of all modern field guides. He notably illustrated editions of Aesop's Fables throughout his life. He is credited with popularising a technical innovation in the printing of illustrations using wood. He adopted metal-engraving tools to cut hard boxwood across the grain, producing printing blocks that could be integrated with metal type, but were much more durable than traditional woodcuts. The result was high quality illustration at a low price. Bewick was born at Cherryburn, a house in the village of Mickley, Northumberland, near Newcastle upon Tyne on 10 or 11 August 1753, although his birthday was always celebrated on the 12th. His parents were tenant farmers: his father John had been married before his union with Jane, and was in his forties when Thomas, the eldest of eight, was born. John rented a small colliery at Mickley Bank, which employed perhaps six men. 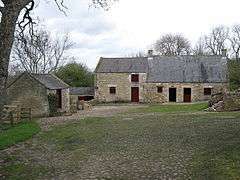 Bewick attended school in the nearby village of Ovingham. Bewick did not flourish at schoolwork, but at a very early age showed a talent for drawing. He had no lessons in art. At the age of 14 he was apprenticed to Ralph Beilby, an engraver in Newcastle, where he learnt how to engrave on wood and metal, for example marking jewellery and cutlery with family names and coats of arms. In Beilby's workshop Bewick engraved a series of diagrams on wood for Charles Hutton, illustrating a treatise on measurement. He seems thereafter to have devoted himself entirely to engraving on wood, and in 1775 he received a prize from the Royal Society for the Encouragement of Arts, Manufactures and Commerce for a wood engraving of the "Huntsman and the Old Hound" from Select Fables by the late Mr Gay, which he was illustrating. In 1776 Bewick became a partner in Beilby's workshop. The joint business prospered, becoming Newcastle's leading engraving service with an enviable reputation for high quality work and good service. In September 1776 he went to London for eight months, finding the city rude, deceitful and cruel, and much disliking the unfairness of extreme wealth and poverty side by side. He returned to his beloved Newcastle as soon as he could, but his time in the capital gave him a wider reputation, business experience, and an awareness of new movements in art. In 1786, when he was financially secure, he married Isabella Elliott from Ovingham; she had been a friend when they were children. They had four children, Robert, Jane, Isabella, and Elizabeth; the daughters worked on their father's memoir after his death. At that period in his life he was described by the Newcastle artist Thomas Sword Good as "a man of athletic make, nearly 6 feet high and proportionally stout. He possessed great personal courage and in his younger years was not slow to repay an insult with personal chastisement. On one occasion, being assaulted by two pitmen on returning from a visit to Cherryburn, he resolutely turned upon the aggressors, and as he said, 'paid them both well'." Bewick was also noted as having a strong moral sense and was an early campaigner for fair treatment of animals. He objected to the docking of horses' tails, the mistreatment of performing animals such as bears, and cruelty to dogs. Above all, he thought war utterly pointless. All these themes recur in his engravings, which echo Hogarth's attention to moral themes. For example, he shows wounded soldiers with wooden legs, back from the wars, and animals with a gallows in the background. Bewick had at least 30 pupils who worked for him and Beilby as apprentices, the first of which was his younger brother John. Several gained distinction as engravers, including John Anderson, Luke Clennell, Charlton Nesbit, William Harvey, Robert Johnson, and his son and later partner Robert Elliot Bewick. The partners published their History of Quadrupeds in 1790, intended for children but reaching an adult readership, and its success encouraged them to consider a more serious work of natural history. In preparation for this Bewick spent several years engraving the wood blocks for Land Birds, the first volume of A History of British Birds. Given his detailed knowledge of the birds of Northumberland, Bewick prepared the illustrations, so Beilby was given the task of assembling the text, which he struggled to do. Bewick ended up writing most of the text, which led to a dispute over authorship; Bewick refused to have Beilby named as the author, and in the end only Bewick's name appeared on the title page, along with a paragraph of explanation at the end of the preface. 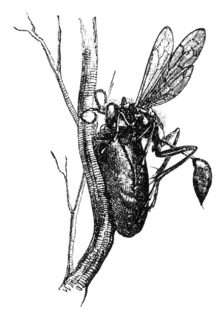 It may be proper to observe, that while one of the editors of this work was engaged in preparing the Engravings, the compilation of the descriptions was undertaken by the other, subject, however, to the corrections of his friend, whose habits led him to a more intimate acquaintance with this branch of Natural History. – Land Birds, Preface. The book was an immediate success when published – by Beilby and Bewick themselves – in 1797. Bewick started work at once on the second volume, Water Birds, but the disagreement over authorship led to a final split with Beilby. Bewick was unable to control his feelings and resolve issues quietly, so the partnership ended, turbulently and expensively, leaving Bewick with his own workshop. Bewick had to pay £20, equivalent to about £20,400 as of 2011,[lower-alpha 1] in lawyer's fees, and more than £21 for Beilby's share of the workshop equipment. With the assistance of his apprentices Bewick brought out the second volume, Water Birds, in 1804, as the sole author. He found the task of managing the printers continually troublesome, but the book met with as much success as the first volume. In April 1827, the American naturalist and bird painter John James Audubon came to Britain to find a suitable printer for his enormous Birds of America. Bewick, still lively at age 74, showed him the woodcut he was working on, a dog afraid of tree stumps that seem in the dark to be devilish figures, and gave Audubon a copy of his Quadrupeds for his children. Bewick was fond of the music of Northumberland, and of the Northumbrian smallpipes in particular. He especially wanted to promote the Northumbrian smallpipes, and to support the piper John Peacock, so he encouraged Peacock to teach pupils to become masters of this kind of music. One of these pupils was Thomas's son, Robert, whose surviving manuscript tunebooks give a picture of a piper's repertoire in the 1820s. Bewick's last wood engraving, Waiting for Death, was of an old bony workhorse, standing forlorn by a tree stump, which he had seen and sketched as an apprentice; the work echoes William Hogarth's last work, The Bathos, which shows the fallen artist by a broken column. He died after a few days' illness on 8 November 1828, at his home. He was buried in Ovingham churchyard, beside his wife Isabella, who had died two years earlier, and not far from his parents and his brother John. Bewick's art is considered the pinnacle of his medium, now called wood engraving. This is due both to his skill and to the method, which unlike the wood cut technique of his predecessors, carves against the grain, in hard box wood, using fine tools normally favoured by metal engravers. Boxwood cut across the end-grain is hard enough for fine engraving, allowing greater detail than in normal woodcutting. This been the dominant method used since Bewick's time. In addition, since a wood engraving is inked on the face, it requires only low pressure to print an image, so the blocks last for many thousands of prints, and importantly can be assembled into a page of metal type for ordinary printing in a single run. In contrast, a copper plate engraving is inked in the engraved grooves, the face being wiped clean of ink before printing, so much higher pressure is required, and images must be printed separately from the text, at far greater expense. Bewick made use of his close observation of nature, his remarkable visual memory, and his sharp eyesight to create accurate and extremely small details in his wood engravings, which proved to be both a strength and a weakness. If properly printed and closely examined, his prints could be seen to convey subtle clues to the character of his natural subjects, with humour and feeling. This was achieved by carefully varying the depth of the engraved grooves to provide actual greys, not only black and white, as well as the pattern of the marks to provide texture. But this subtlety of engraving created a serious technical difficulty for his printers; they needed to ink his blocks with just the right amount of ink, mixed so as to be of exactly the right thickness, and to press the block to the paper slowly and carefully, to obtain a result that would satisfy Bewick. Not surprisingly, this made printing slow and expensive. It also created a problem for Bewick's readers; if they lacked his excellent eyesight, they needed a magnifying glass to study his prints, especially the miniature tail-pieces. But the effect was transformative, and wood engraving became the main method of illustrating books for a century. The quality of Bewick's engravings attracted a far wider readership to his books than he had expected: his Fables and Quadrupeds were at the outset intended for children. some blocks would be drawn by one brother and cut by the other, the rough work would be done by pupils, who would also, if they showed aptitude, draw and finish designs – on the same principle as the schools of Renaissance painters; and we cannot ... be sure in all cases that the engravings ... are the work of Thomas Bewick from first to last, but he had a hand to a great extent in nearly all, and certainly had the last word in all of them. Works using his wood engraving technique, for which he became well known, include the engravings for Oliver Goldsmith's Traveller and The Deserted Village, for Thomas Parnell's Hermit, and for William Somervile's Chase. But "the best known of all Bewick's prints" is said by The Bewick Society to be The Chillingham Bull, executed by Bewick on an exceptionally large woodblock for Marmaduke Tunstall, a gentleman who owned an estate at Wycliffe in the North Riding of Yorkshire. The runaway cart is a wonderful mixture of action and danger. The boys have been playing in the cart and the horse has bolted; perhaps the dog's barking was the cause. The drawing of the wheel – an extraordinary depiction for its time – shows that the cart has gathered speed. One boy has already fallen and probably hurt himself. The others hang on shouting with fear. And why has it all happened? The carter with his tankard in his hand runs too late from the inn. Has he been distracted by the shapely girl? And is it an accident that the inn sign looks a little like a gallows? The workshop of Beilby, Bewick, and son produced many ephemeral materials such as letterhead stationery, shop advertisement cards, and other business materials. Of these ephemeral productions, "bookplates have survived the best". 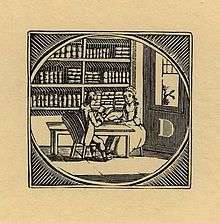 Bewick's bookplates were illustrations made from engravings, containing the name or initials of the book's owner. The various editions of Aesop's Fables illustrated by Bewick span almost his entire creative life. The first was created for the Newcastle bookseller Thomas Saint during his apprentice years, an edition of Robert Dodsley's Select Fables published in 1776. With his brother John he later contributed to a three-volume edition for the same publisher in 1784, reusing some pictures from the 1776 edition. Bewick went on to produce a third edition of the fables. While convalescing from a dangerous illness in 1812, he turned his attention to a long-cherished venture, a large three-volume edition of The Fables of Aesop and Others, eventually published in 1818. The work is divided into three sections: the first has some of Dodsley's fables prefaced by a short prose moral; the second has "Fables with Reflections", in which each story is followed by a prose and a verse moral and then a lengthy prose reflection; the third, "Fables in Verse", includes fables from other sources in poems by several unnamed authors. Engravings were initially designed on the wood by Bewick and then cut by his apprentices under close supervision, refined where necessary by himself. This edition used a method that Bewick had pioneered, "white-line" engraving, a dark-to-light technique in which the lines to remain white are cut out of the woodblock. A General History of Quadrupeds appeared in 1790. It deals with 260 mammals from across the world, including animals from "Adive" to "Zorilla". It is particularly thorough on some of the domestic animals: the first entry describes the horse. Beilby and Bewick had difficulty deciding what to include, and especially on how to organise the entries. They had hoped to arrange the animals systematically, but they found that the rival systems of Linnaeus, Buffon and John Ray conflicted, and in Linnaeus's case at least changed with every edition of his work. They decided to put useful animals first "which so materially contribute to the strength, the wealth, and the happiness of this kingdom". The book's coverage is erratic, a direct result of the sources that Bewick consulted: his own knowledge of British animals, the available scholarly sources, combined with George Culley's 1786 Observations on Livestock and the antique John Caius's 1576 On English Dogs. Bewick had to hand the Swedish naturalist Anders Sparrman's account of his visit to the Cape of Good Hope on Cook's expedition of 1772 to 1776, and animals from the Southern Cape figure largely in the book. It was an energetic muddle, but it was at once greeted with enthusiasm by the British public. They liked the combination of vigorous woodcuts, simple and accurate descriptions, and all kinds of exotic animals alongside things they knew. A History of British Birds, Bewick's great achievement and with which his name is inseparably associated, was published in two volumes: History and Description of Land Birds in 1797 and History and Description of Water Birds in 1804, with a supplement in 1821. The Birds is specifically British, but is the forerunner of all modern field guides. Bewick was helped by his intimate knowledge of the habits of animals acquired during his frequent excursions into the country. He also recounts information passed to him by acquaintances and local gentry, and that obtained in natural history works of his time, including those by Thomas Pennant and Gilbert White, as well as the translation of Buffon's Histoire naturelle. Many of the illustrations that have most frequently been reproduced in other books and as decorations are the small tailpieces that Bewick had placed at the bottoms of the pages of the original. The worlds depicted are so small that a magnifying glass is necessary to examine their detail; each scene, as Adrian Searle writes, "is a small and often comic revelation", each tiny image giving "enormous pleasure"; Bewick "was as inventive as he was observant, as funny and bleak as he was exacting and faithful to the things he saw around him." Bewick sometimes used his fingerprint as a form of signature, (accompanied by the words "Thomas Bewick his mark"), as well as engraving it in one of his tail-pieces as if it had clouded the tiny image of a rustic scene with a cottage by mistake. Uglow notes one critic's suggestion that Bewick may have meant we are looking at the scene through a playfully smudged window, as well as drawing our attention to Bewick, the maker. Adrian Searle, writing in The Guardian, describes the tiny work as "A visual equivalent to the sorts of authorial gags Laurence Sterne played in Tristram Shandy, it is a marvellous, timeless, magical joke". Poetical tributes came to Bewick even during his lifetime. William Wordsworth began his anecdotal poem “The Two Thieves”, composed in 1798, with the line “O now that the genius of Bewick were mine”, in which case he would give up writing, he declared. As life elastic, animate with thought. And a titmarsh in the bough. To tell the meaning now? Each in their own way is making the same point, that Bewick's work is more than mere illustration. Its liveliness and truth to experience appeals to the imagination of the reader and calls forth an individual response that goes beyond the text. As noted at the end of the article on him in the Dictionary of National Biography, there is a rich collection of Bewick portraits, beginning with that of Newcastle painter George Gray (1758-1819), from about 1780 and long owned by Bewick's family, that is now in the Laing Art Gallery. Several are by James Ramsay, including the one at the Literary and Philosophical Society of Newcastle upon Tyne, in which he sits holding spectacles, one in middle-age, held by the Natural History Society of Northumbria, and one in old age in the National Portrait Gallery. Bewick also appears among the figures on the left in Ramsay's "The Lost Child" (1823), where he is standing next to Ramsay and his wife in the street leading up to St Nicholas' Church. John Henry Frederick Bacon was to draw on this small figure to create his 1852 print of Bewick, in which he has been transferred from the urban to a rural setting, with the city and the Tyne in the background. 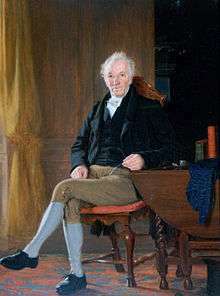 Other portraits include one by William Nicholson dating from 1814 in which Bewick sits with a pencil in his hand and a dog beside his chair; the one at his birthplace; and the full-length seated portrait of 1827 by Thomas Sword Good (see above). Another painting by Sword in the National Portrait Gallery is now no longer thought to be of Bewick. An unsigned painting supposedly of him in the Yale Center for British Art is equally dubious. A marble portrait bust of Bewick was commissioned from Edward Hodges Baily in 1825 by the Literary and Philosophical Society, of which there are several copies beside the one still at the Society itself. According to Jenny Uglow, his recent biographer, when he came to sit for the sculptor, he “stoutly refused to be portrayed in a toga. Instead he wore his ordinary coat and waistcoat with neckcloth and ruffled shirt, and even asked for some of his smallpox scars to be shown." Baily was so taken with him that he presented Bewick with a plaster model of the finished bust. A bronze copy now rests in a niche of the building that replaced his workshop in the churchyard of Saint Nicholas (see above) and still another is at the British Museum. There is also a full length statue of him at the top left of the former chemist's shop designed by M.V.Treleaven at 45 Northumberland Street in the city. Bewick's 'Chillingham Bull' was set into the pavement near Central Station, Newcastle by the Bewick Society in 2003 to mark the 250th anniversary of his birth. Bewick's fame, already nationwide across Britain for his Birds, grew during the nineteenth century. In 1830, William Yarrell named Bewick's swan in his honour and Bewick's son Robert engraved the bird for later editions of British Birds. Bewick's wren also took his name. The critic John Ruskin compared the subtlety of his drawing to that of Holbein, J. M. W. Turner, and Paolo Veronese writing that the way Bewick had engraved the feathers of his birds was "the most masterly thing ever done in woodcutting". His fame faded as illustration became more widespread and more mechanical, but twentieth-century artists such as Gwen Raverat (née Darwin) continued to admire his skill, and work by artists such as Paul Nash and Eric Ravilious has been described as reminiscent of Bewick. Bewick's illustrated books, admired since they first appeared, gave him some celebrity in his own lifetime. His Memoir, published a generation after his death, brought about a new interest and a widening respect which has continued to grow ever since. The attraction to his contemporaries of Bewick's observations lay in their accuracy and amusement. Two centuries later these qualities are still recognised; but so, too, is the wealth and rarity of the historical information they have to offer. Thomas Bewick Primary School, in Newcastle upon Tyne, is named after him. Bewick's works are held in collections including the Victoria and Albert Museum. Bewick is also memorialised elsewhere around Newcastle city, and Gateshead town, centres. These include streets named after him, blue (and other) plaques marking former homes and workshops. Bewick, Thomas. (1790). A General History of Quadrupeds: The Figures Engraved on Wood. S. Hodgson, R. Beilby, T. Bewick, etc. Bewick, Thomas: Characters of the Kings and Queens of England; selected from the best historians. To which is added a table of succession of each, from Alfred to the present time. Newcastle, 1795. Jarndyce catalogue: The Romantic Background c. 1780–1850 (London, 2015), item 230. Retrieved 31 March 2015. Bewick, Thomas (1862). A Memoir of Thomas Bewick. Longman, Green, Longman, and Roberts. --- (1975). Iain Bain (editor). Oxford University Press. ↑ Comparing average earnings of £20 in 1797 with 2011. ↑ "Cherryburn". National Trust. Retrieved 21 May 2013. 1 2 3 4 5 6 7 Bain, Iain (2004). "Bewick, Thomas (1753–1828)". Oxford Dictionary of National Biography. Oxford University Press. Retrieved 23 June 2013. ↑ Uglow, 2006. p. 7. ↑ Uglow, 2006. pp. 6, 9. ↑ Uglow, 2006. pp. 10–11. ↑ Uglow, 2006. pp. 12–13. ↑ Uglow, 2006. pp. 39–44. ↑ Uglow, 2006. pp. 47–48. ↑ Uglow, 2006. p. 92. ↑ Rayner, John (1947). Wood Engravings by Thomas Bewick. King Penguin. p. 26. ↑ Uglow, 2006. pp. 106–107. 1 2 Dixon, 2010. p. 265. ↑ Dixon, 2010. pp. 263–264. 1 2 Dixon, 2010. p. 264. ↑ Dixon, 2010. p. 273. ↑ Uglow, 2006. pp. 407–408. 1 2 "Major Publications". The Bewick Society. Retrieved 21 May 2013. ↑ Uglow, 2006. pp. 153–186. 1 2 Uglow, 2006. pp. 242–261. ↑ Officer, Lawrence H. (2009). "Five Ways to Compute the Relative Value of a UK Pound Amount, 1270 to Present". MeasuringWorth. 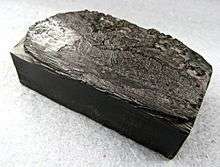 Retrieved 25 November 2012. 1 2 Uglow, 2006. pp. 262–279, 293–305. ↑ Uglow, 2006. pp. 388–389. ↑ Uglow, 2006. pp. 121–122. ↑ Uglow, 2006. pp. 283–284, 398–399. ↑ Uglow, 2006. pp. 393–394. ↑ Isabella Bewick died on 1 February 1826. Uglow, 2006, pp. 384–385. ↑ Uglow, 2006. pp. 394–395. ↑ "Thomas Bewick" (PDF). Gateshead Local History. Retrieved 21 May 2013. 1 2 Uglow, 2006. p. xiii. ↑ "Thomas Bewick". Encyclopaedia Britannica. 2013. Retrieved 21 May 2013. 1 2 Dixon, 2010. p. 266. ↑ Dixon, 2010. p. 269. 1 2 Rayner, 1947. p. 15. 1 2 Dixon, 2010. pp. 271–275. ↑ Aesop; Dodsley, Robert; Bewick, Thomas (1776). Select Fables of Aesop. Newcastle: T. Saint. ↑ Aesop; Bewick, Thomas (1784). Select Fables of Aesop. Newcastle: T. Saint. 1 2 Thomas Bewick (1818). Select Fables of Aesop. Aesopica. pp. Fables 1–141. 1 2 Uglow, 2006. pp. 172–188. ↑ Uglow, 2006. p. 174. ↑ Bate, Jonathan (15 August 2004). "A bird in the bush is always best". The Daily Telegraph. Retrieved 14 January 2013. 1 2 Uglow, 2006. pp. 242–261, 293–305. 1 2 Searle, Adrian (16 April 2009). "Thomas Bewick's Cheeky Woodcuts". The Guardian. Retrieved 21 May 2013. 1 2 Uglow, 2006. p. 241. ↑ Lee and Gaensslen, 2010. pp. 18–19. ↑ Uglow, 2006. pp. xvii, 459. ↑ All round shots at the Museum site. ↑ Uglow, 2006. p. 396. 1 2 Dixon, 2010. p. 278. ↑ "Thomas Bewick School". Newcastle City Council. Retrieved 21 May 2013. ↑ "Works by Thomas Bewick". Victoria and Albert Museum. Retrieved 21 May 2013. Dixon, Hugh (2010). Faulkner, Tom E.; Berry, Helen; Gregory, Jeremy, eds. Thomas Bewick and the North-Eastern Landscape. Northern Landscapes: Representations and Realities of North-East England. Boydell and Brewer. pp. 261–278. ISBN 9781843835417. Lee, Henry C; Gaensslen, Robert E (2010). Advances in Fingerprint Technology (2nd ed.). CRC Press. Rayner, John (1947). Wood Engravings by Thomas Bewick. King Penguin. Uglow, Jenny (2009) . Nature's Engraver: A Life of Thomas Bewick. University of Chicago Press. Tattersfield, Nigel (1999). Bookplates by Beilby & Bewick: A Biographical Dictionary of Bookplates from the Workshop of Ralph Beilby, Thomas Bewick & Robert Bewick, 1760–1849. British Library and Oak Knoll Press. ISBN 1-884718-91-4. Bain, Iain (1981). The Watercolours and Drawings of Thomas Bewick and his Workshop Apprentices. Gordon Fraser. Croal, Thomson David (1882). Life and Works of Thomas Bewick. The Art Journal Office, London. Dobson, Austin (1899). Thomas Bewick and his pupils. Chatto & Windus. First published 1862. Hall, Marshall (2005). The Artists of Northumbria. Art Dictionaries Ltd. ISBN 0-9532609-9-2. Holmes, June (2006). The Many Faces of Bewick. Natural History Society of Northumbria Transactions. Robinson, Robert (1887). Thomas Bewick, His Life and Times. Printed for Robert Robinson, Newcastle. Weekley, Montague (1953). Thomas Bewick. Oxford University Press. Wikimedia Commons has media related to Thomas Bewick.